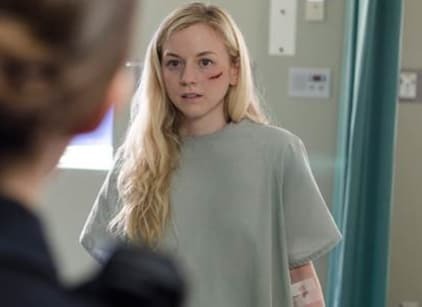 Beth wakes up in a hospital in Atlanta. She learns she was rescued, but must earn her keep in this new society. Turns out Dawn, a police officer, is running things, trying to keep everything good, while making sure the weak stay under her control. Beth befriends the doctor, who, while nice to Beth, is worried about losing his worth. He kills another doctor. Beth also friends Noah, who attempts to help her escape. He is injured in the escape, but manages to get away. Beth is brought back to face Dawn. Carol is brought into the hospital.